My tweets make their rounds on the interwebs. Click the text above the pics if you don't believe me. George Lopez did something racist. I tried to calm the Internet down. 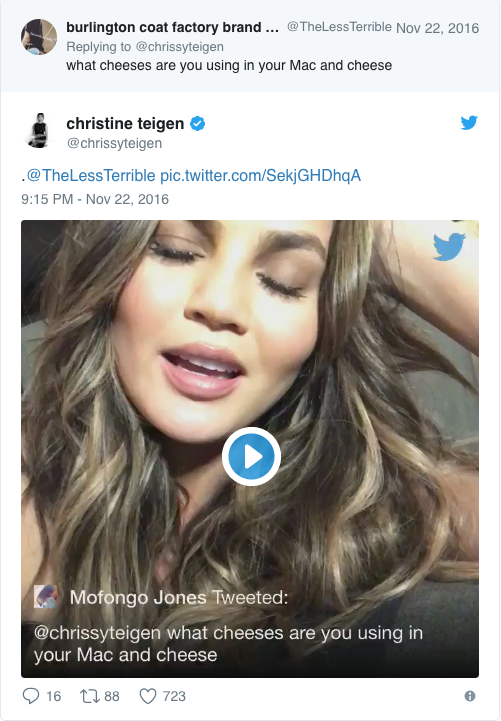 I asked my close friend Chrissy Teigen to tell me her mac and cheese recipe. I got John's (Mr. Legend's) version instead. The one time I participate in a trending topic...this is what happens.